Pramila Jayapalwas born in Chennai, India and grew up between Indonesia, Singapore, and India. 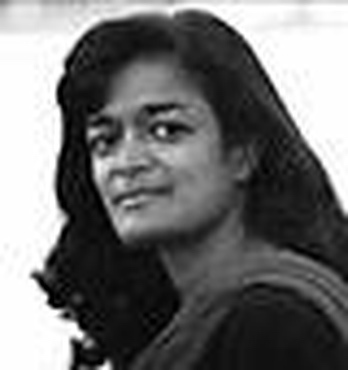 Ms. Jayapal has a Masters in Business Administration from Northwestern University's Kellogg School of Management, and a B.A. from Georgetown University in English and Economics. From 1991-1995, she served as Director of the Fund for Technology Transfer at Program for Appropriate Technology in Health (1991-1995), a program that funded critical health projects in Asia, Latin America and Africa. In 1995, she was awarded a two-year fellowship from The Institute of Current World Affairs to live in villages and towns across India and write about her perspectives on modern Indian society in the context of development and social justice. She has provided consulting assistance to several international and domestic non-profit social justice organizations and is the author of Pilgrimage to India: A Woman Revisits Her Homeland (Seal Press).She speaks frequently at universities and community events on issues of gender, globalization, development and community. Today, she is an activist and writer, and founder of Hate Free Zone Campaign of Washington, a grassroots nonprofit organization that was created in November 2001 in response to the backlash against immigrant communities of color. For the past ten years, she has been actively involved in international and domestic social justice issues, particularly with women's and children's issues. Prior to her experience in the social justice arena, she worked for several years in the private sector. She is a former Board Chair of Chaya, a non-profit organization serving South Asian women in crisis, and is also a Board Trustee of The Institute of Current World Affairs. She lives in Seattle with her husband Steve and son Janak.